Pellana is happy to serve you and your guests at any offsite location on the North Shore. Please contact the Catering and Events Manager, Jacqulyn Shambaugh for more details jshambaugh@altoforno.com. Pellana Prime Steakhouse has the ability to host private and semi-private meetings & events for as few 10 and up to 100 guests. The Board Room seats up to 26 guests and is an intimate setting for as few as 10. The Vault Room can accommodate up to 50 guests for a sit-down dinner or 75 for cocktails and hors d"Oeuvres. With French pocket doors dividing the Board Room and Vault Room, the two spaces can be combined to accommodate a sit down dinner for 75 guests or a cocktail reception for 100. *Please ask about the use of the entire restaurant for events over 100 guests. Scallops special is very good! Seafood platter is just average with limited choices. Poterhouse Steak was overly charred and tasted bitter. We noted it's special 70th birthday celebration but received no special attention with greetings or a special treat as most fine dining restaurant would do. The waiter Jim was average in terms of service; however the busboy did a good job. Everything waa excellent. Our waiter was attentive and the food was outstanding and cooked to perfection. We went for Easter. Service was excellent and food was wonderful. The only very small issue was the music was quite loud. A great place for a special occasion. Entire experience was positive. Food was great, service excellent, and a good time was had by all. still best steak, best ambience , and best service on the North Shore. We had a very nice evening. The dinner was excellent. Pellana's was accomodating from the time of reservation, we had elderly relatives with mobility issues, and they sat us at the perfect table. Jon was our server and he could not have been more attentive or pleasant. The food was cooked to perfection and the portions were just right. 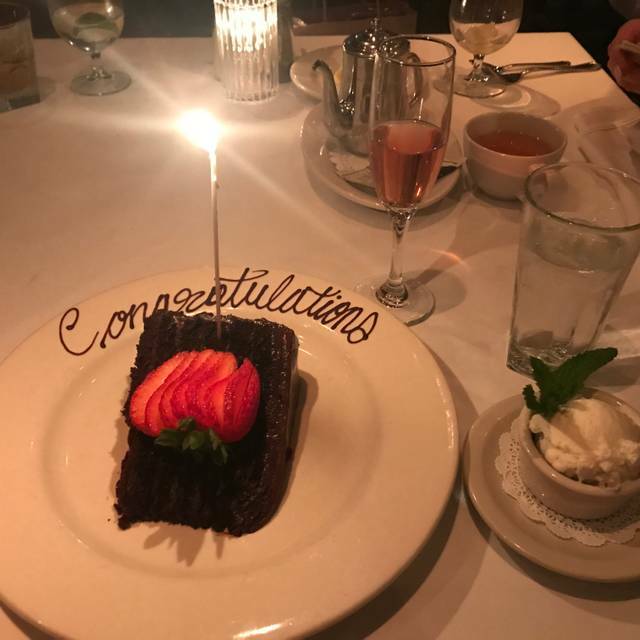 It is the best restaurant on the north shore as far as my family is concerned and that's why we celebrate every big occasion with Pellana. We went to celebrate my moms birthday. We had Jason as our waiter. He is by far the best waiter that has taken care of me. His service was impeccable. Made you feel so comfortable. That is why we always go back there and have him for our waiter. The Ribeye that I had was perfect !!!! Excellent experience. Gina was our server and as always makes us feel like we are family. The food was exceptional. What a lovely place! The food, service, and ambiance were notable and above expectations. All the wait staff was helpful, friendly, and warm. We will visit again soon! Always great food and service. I had tuna tartare to start and it was the best I have ever had. All four of us loved the evening . 30th Anniversary was a lovely, relaxing experience. Food was excellent! Everything was great. The only concern is not to them, but to myself - I cannot afford it regularly. Nevertheless, I am planning to be back when I am looking for really good place and (temporarily) do not care about the price. We had an excellent dinner that my family set up for my birthday. We had Roberto, who served us with an "old world" standard -- we felt that we were his only table, and that everything in his being was focused on us having the dinner of our lives. 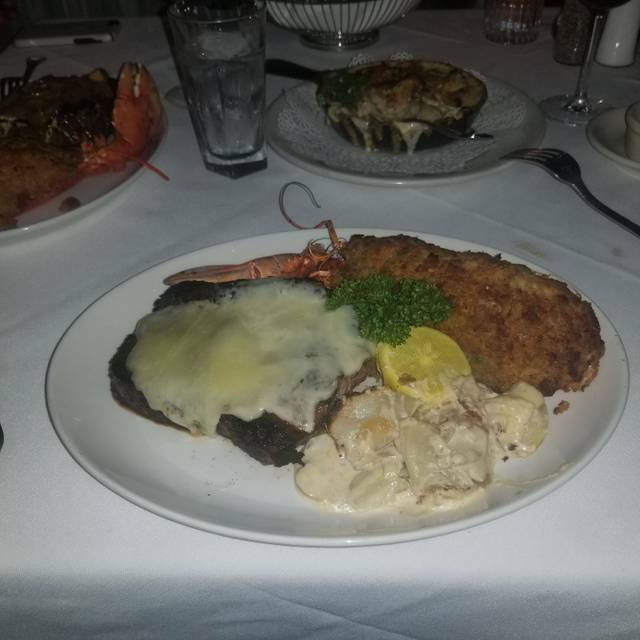 We were in very good care throughout the meal, and the food was absolutely sublime: tender cuts of very tasty steak, seafood, etc. 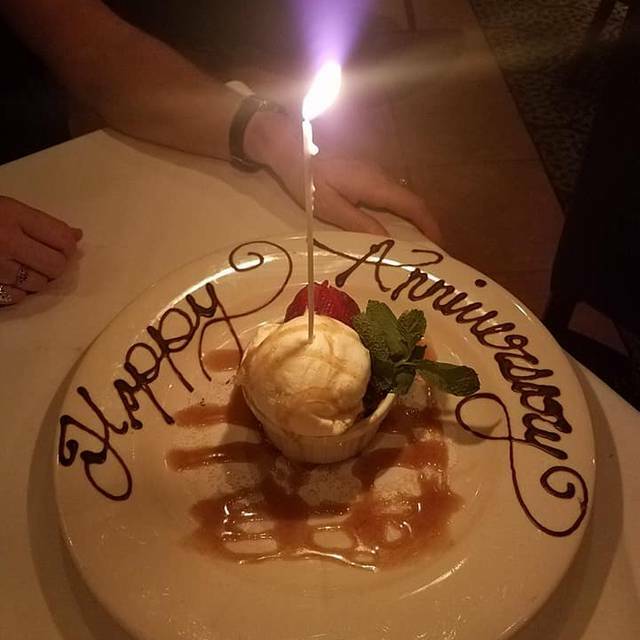 It was one of those meals that you might say was an investment from a financial perspective, but worth every penny from how much we enjoyed the meal and the service, and how the combination of those helped us enjoy each other. Bravo, Pellana's, and thank you so much, Roberto! 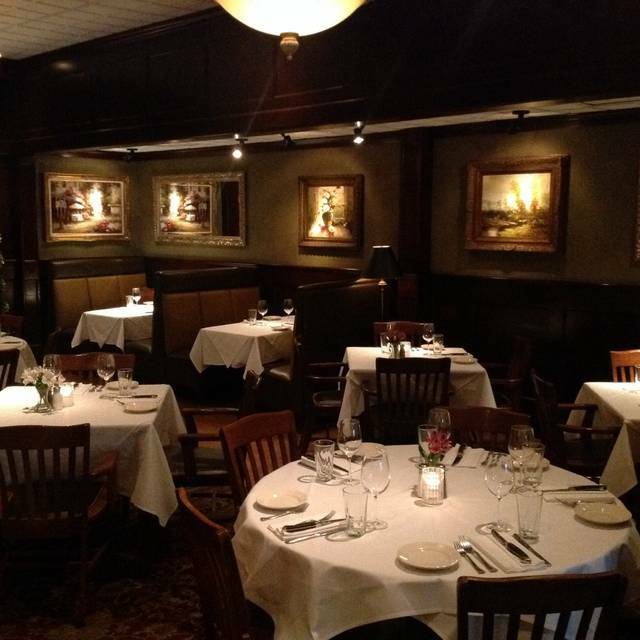 Better than the Capital Grille … and I love the Capital Grille! 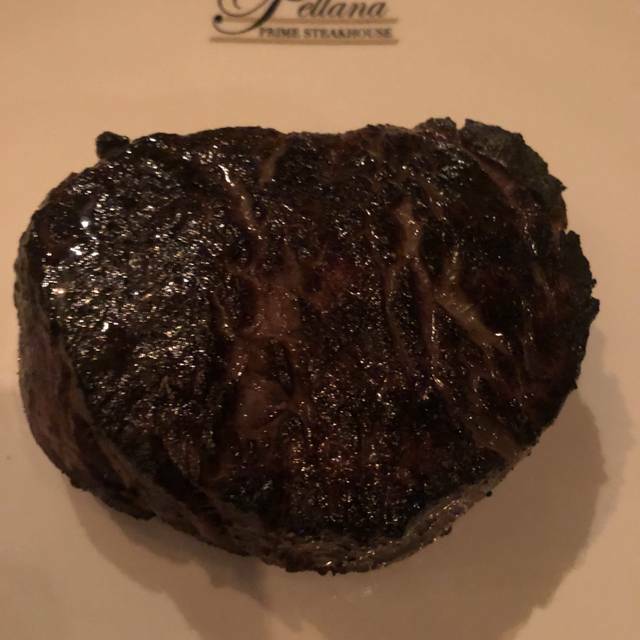 We have been to Pellana several times over the past few years and it is always superb! Food, ambiance, and service are all top notch! Impeccable service. Coincidentally, Jim has been our server the last few meals at Pellana and he is an expert at timing his visits to our table. Always a pleasure to dine here. 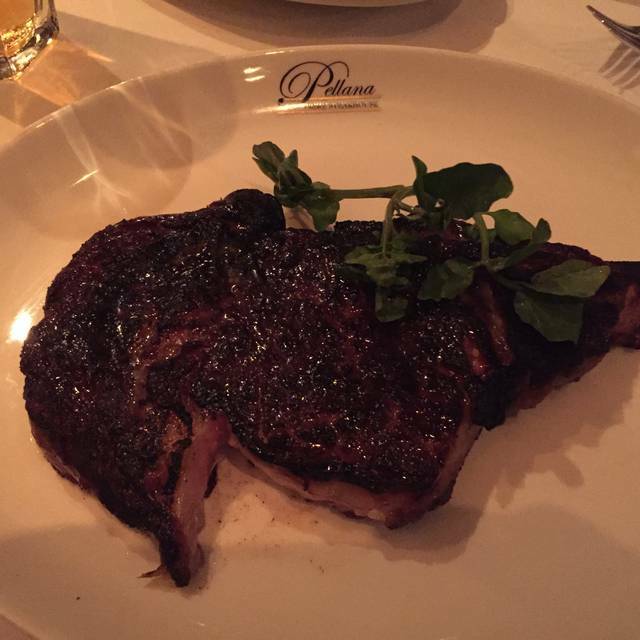 Being a steakhouse, I measure it based on its steaks. They were superb. Cocktails were good and generously portioned, as well. My only food complaint was the scalloped potatoes which arrived at the table barely warm, and still crunchy. Service was attentive, but we felt a bit rushed. Did not like seating....table too small. Next time would prefer bigger table. Fantastic hidden gem. Our reservation was for 6pm, but got seated as soon as we arrived. Wine list was good with reasonably priced options for most tastes. We had the seafood tower to start and was perfect for our party of three. We had the bone in ribeye and bone in filets all cooked exactly as ordered. Finished the night with a healthy slice of six layer carrot cake that was heavenly. The service was great, friendly and attentive. We be back again for sure. Everything was excellent from the food to the service. We will definitely be going back. Always willing to go back. 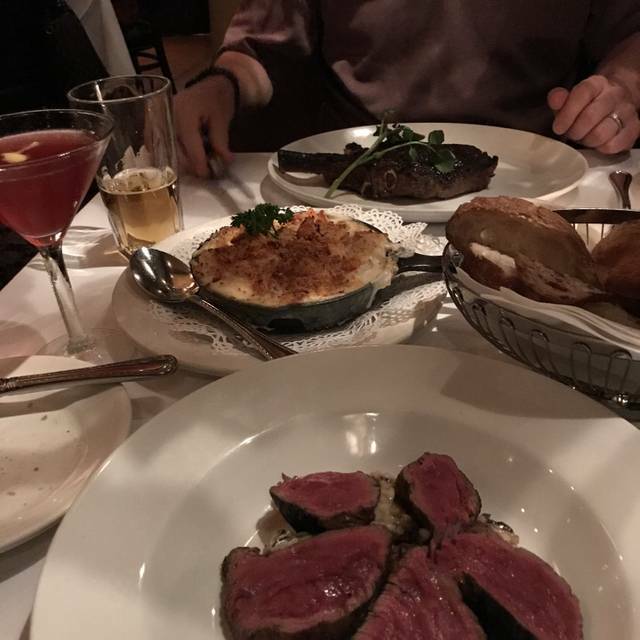 I've been here numerous times and it's one of my favorite steakhouses out of the local steakhouses and that includes the ones in Boston like Chops and the chains like Ruth Chris's & Morton's plus the North Shore ones like Strega Prime & Davio's. 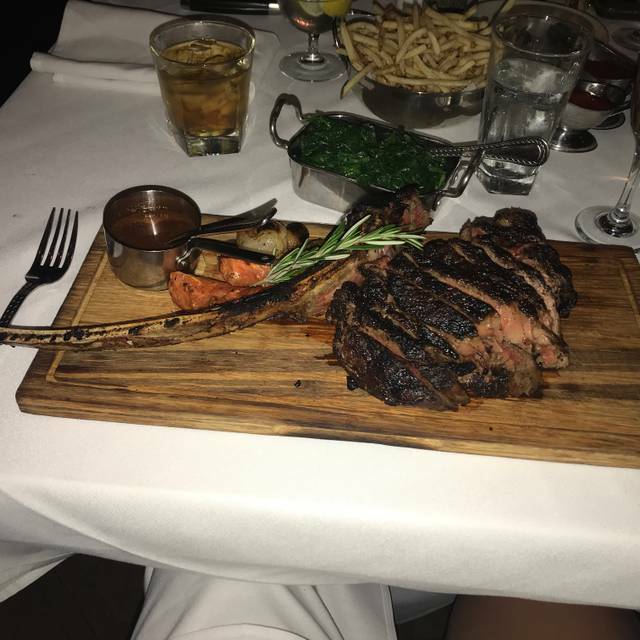 I love the atmosphere, the professional service, and of course, the lovely steaks. The bar makes fantastic cocktails and they have a great wine menu with half bottles of some really nice wines (that's unusual). Great for special occasions or just because you want a really good steak! Great wine list, amazing steak and the au gratin potatoes were fabulous. Ambiance is wonderful. Service is a little slow - not a complaint... just don’t go here and be in a rush. And, honestly, here - there is no reason to be. There's no question about the quality and outstanding taste and preparation of all the items on the menu. However, I was surprised during this visit to the feel rushed to order our courses. Also, the wine service wasn't done properly as it's been done in the past. Also quite noticeably the women at the table weren't served first nor was the table served and cleared all at once. It's also always been a nice touch when a guest visits the restroom, they come back to a folded napkin at their place setting by the server, that was missing also. These are things that have been on-point in previous visits to Pellana's. Of course, these are just observations and would never deter me and my guests from visiting again, I just wanted to communicate the difference. Thank you for an outstanding meal. Food and service was top notch. Our waiter was fantastic. All the food came out prepared as requested. Drinks were good. A great special occasion restaurant on par with like kind restaurants in Boston. Seems a bit loud, though. Can’t wait to go again! It is the best. This is the only restaurant we go to for special occasions. James our waiter was fabulous. The food was served hot and the presentation was good. The food and service was fantastic. 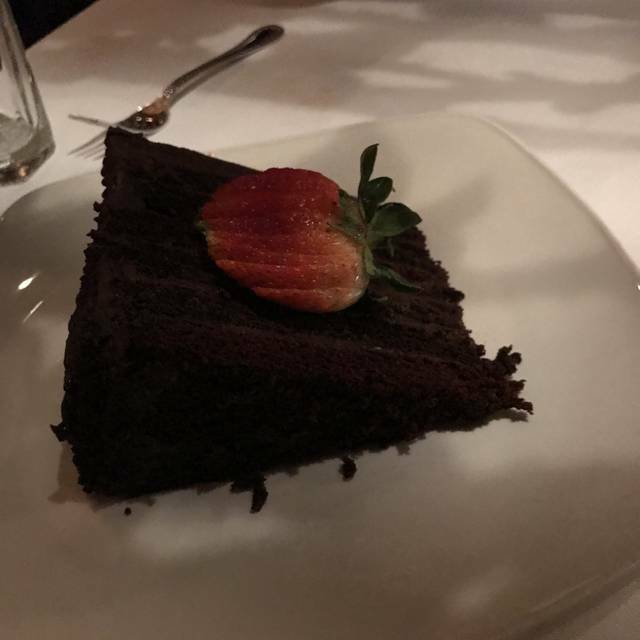 The restaurant is a little too dark, but I did enjoy myself. Will definitely be back. From the manager accommodating me with my boyfriends diabetic dessert all the way to the dinning assistants bringing water. Everything was perfect. Pellana is always my go to for great food without driving to Boston. Just a little dark for my liking. Everything else was incredible! Cannot wait to go back. Fantastic. Best steak I've had in yes. Great place for special occasion.